When you attach God's truth to a musical hook, you have an incredibly powerful art form. In the Just Hooked by Gospel project we have taken many of the outstanding hooks in gospel music and arranged them for choirs to sing. The content of these medleys is always the same - intensely biblical. 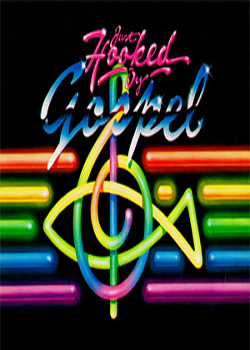 <br><br>The forms are Gospel, Contemporary, Praise, Spirituals, and Hymn Classics. Each segment is between 6 and 7 minutes in length. The audio samples are approximately 2 to 3 minutes each. Drag the yellow player bar to skip portions of the track as desired. (6:13) Includes portions of "This is My Story, Blessed Assurance, He Lives, Love Lifted Me, Count Your Blessings, Wonderful Grace of Jesus, Standing on the Promises, Onward Christian Soldiers, There's Power in the Blood, Are You Washed in the Blood?, Leaning on the Everlasting Arms, When We All Get to Heaven, Blessed Be the Name, He Keeps Me Singing, In My Heart There Rings a Melody, Showers of Blessing, The Banner of the Cross, Sound the Battle Cry, Jesus Saves"
(6:56) Includes portions of "Trumpet of Jesus, Praise the Lord!, Sing Your Praise to the Lord, How Majestic is Your Name, We Shall Behold Him, O Buddha, Rise Again, We Are the Reason, Soldier of the Light, El Shaddai, I Have Decided, My Father's Eyes, He's Alive!" (6:47) Includes portions of "Bless His Holy Name, Let's Just Praise the Lord, Thou Art Worthy, Worthy is the Lamb, Alleluia, Sometimes 'Alleluia,' God is So Good, O How He Loves You and Me, The Greatest Thing, Heavenly Father We Appreciate You, Where the Spirit of the Lord Is, Turn Your Eyes Upon Jesus, O Come Let Us Adore Him"
(6:18) Includes portions of "He's Got the Whole World in His Hands, Amen, Swing Down Chariot, Swing Low Sweet Chariot, Get on Board, Down By the Riverside, Go Tell It on the Mountain, This Little Light of Mine, O My Lovin' Brother, Standin' in the Need of Prayer, Ezekiel Saw the Wheel, Joshua Fit the Battle, Every Time I Feel the Spirit, Great Gettin' Up Morning, I Got Shoes, When the Saints Go Marchin' In"
Mine Eyes Have Seen the Glory, The Lord's Prayer"